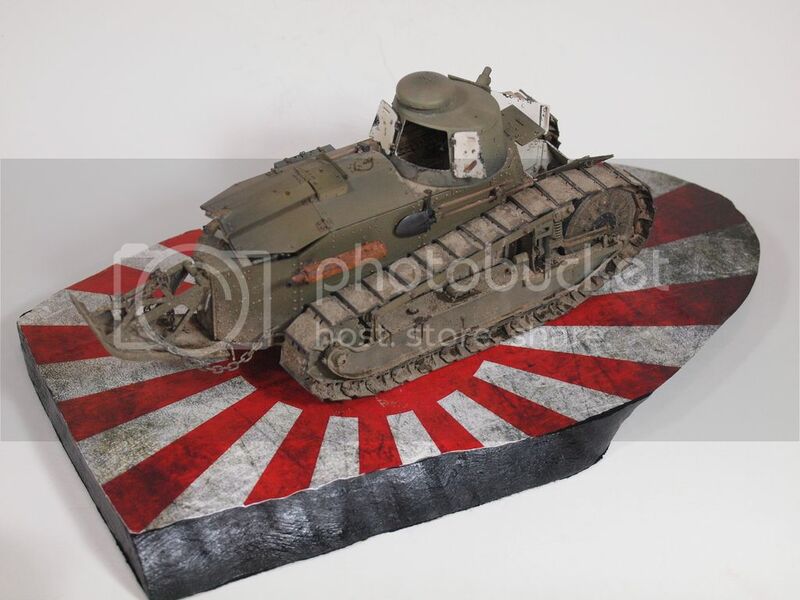 As revealed at the Shizuoka Hobby Show! this little fella will hit the shelves very soon. Media and Contents: 324 parts in light grey plastic (test shot only); ten parts in clear; two lengths of polypropylene tracks; 4 small and 4 large polythene caps; length of string; markings for two vehicles. The Volkswagen T1 Samba made a great airport shuttle in the early days of the Lufthansa airline. Its spacious seating arrangement and canvas roof made conveying passengers to the airport, quite literally, a breeze. Add in the wrap around glass windows for sightseeing and the efficient, reliable engine and it's no wonder the T1 was so popular! 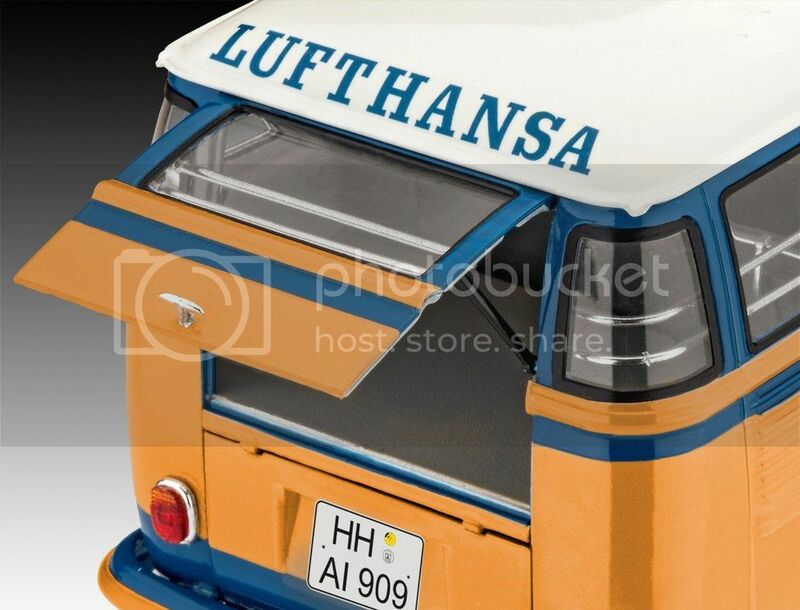 Kit features multi-part body, detailed interior with bench seats, movable doors and tailgate, rotating wheels, and full decals for a T1 with blue and yellow Lufthansa design and logos! Takom 1/16 FT-17 Renault Finished! TAKOM-AMMO contest. 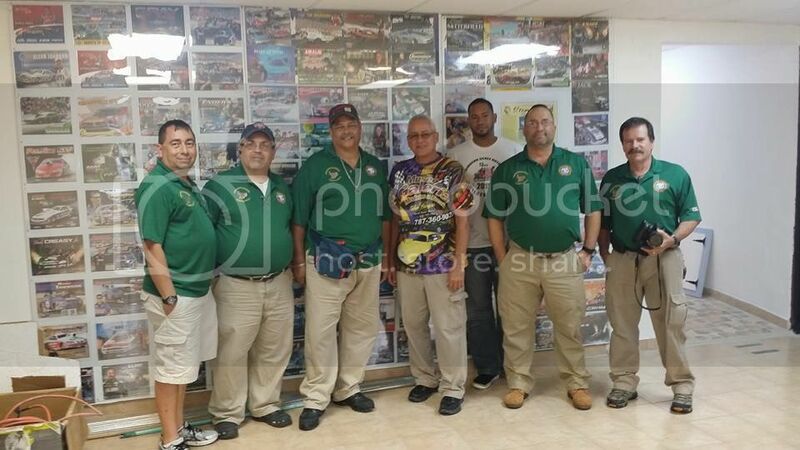 El club de Ipms Borinqueneers en colaboración con el Sr. Burgos presentando los trabajo de nuestro amigo que se mudó al cielos a seguir haciendo obras de arte como el solo sabía hacer El señor José Pacheco (1956 - 2016). 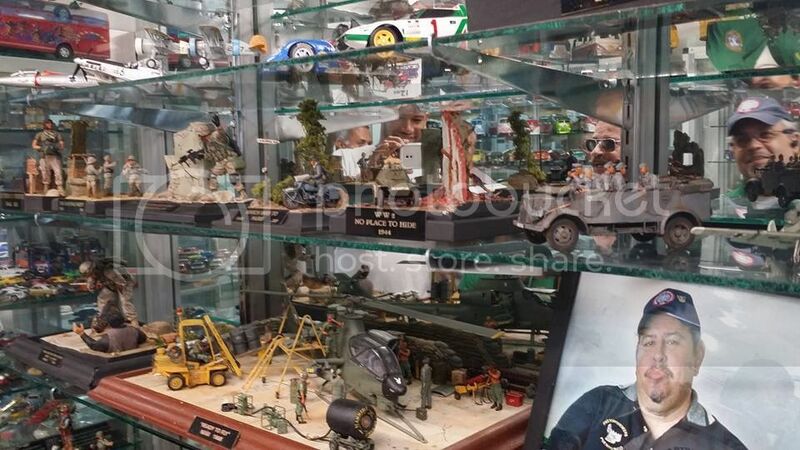 Aquí estará esta exposición en homenaje póstumo a nuestro amigo; que descanse en paz. 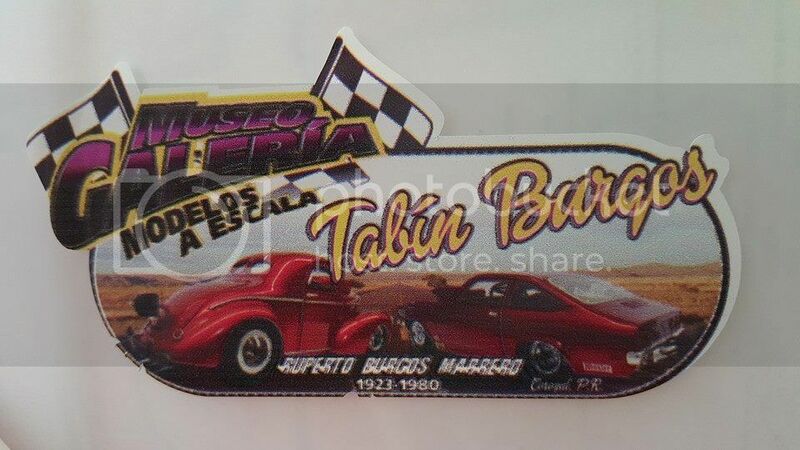 La exposición está disponible en el Museo Galería modelos a escala Tabin Burgos en Corozal, atendido por su dueño el Sr. José Burgos en la carr # PR-159, Tel. (787) 360-9035. The Borinqueneers receive U.S. Congressional Gold Medal on April 13! The Borinqueneers receive U.S. Congressional Gold Medal on April 13! WASHINGTON ??? On Wednesday, April 13, leaders of the U.S. House and Senate presented a Congressional Gold Medal in honor of the 65th Infantry Regiment, known as the Borinqueneers, for its pioneering military service, devotion to duty, and many acts of valor in the face of adversity. The 65th Infantry is a Puerto Rican regiment of the United States Army that bravely fought and served the U.S. during times of combat, including World War I, World War II, and the Korean War. For its extraordinary service to the nation in the Korean War, the Regiment earned nine Distinguished Service Crosses, approximately 250 Silver Stars, over 600 Bronze Stars, and more than 2,700 Purple Hearts. Congressman Pedro Pierluisi (D-PR) and Congressman Bill Posey (R-FL) of Florida, who worked together to draft and secure House passage of the bill to award the Congressional Gold Medal to the Regiment, spoke at the event. So, too, did Senator Richard Blumenthal (D-CT), who led the parallel effort in the U.S. Senate. In addition, House Speaker Paul Ryan (R-WI), Senate Majority Leader Mitch McConnell (R-KY), Senate Democratic Leader Harry Reid (D-NV), and House Democratic Leader Nancy Pelosi (D-CA) took part in the bipartisan, bicameral ceremony. The Congressional Gold Medal is the highest civilian honor the United States Congress can bestow. In accordance with Public Law No: 113-120, a single gold medal has been struck to honor the 65th Infantry Regiment, the Borinqueneers for its valor, determination, and bravery displayed during the Korean War. The ceremony took place on April 13, 2016, at 3:00 PM ET in Emancipation Hall at the U.S. Capitol, and is available for viewing on CSPAN. Prior to the ceremony, the Borinqueneers Congressional Gold Medal Ceremony National Committee held wreath presentations the Tomb of the Unknown, the World War II Memorial, and the Korean War Memorial. A National Awards Reception followed the unveiling ceremony. 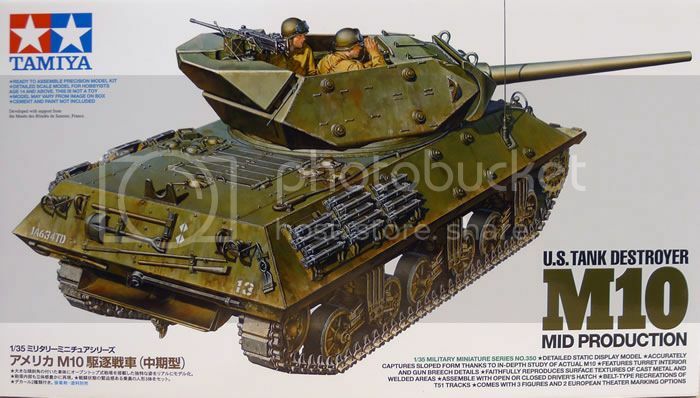 This is a 1/35 scale plastic model assembly kit of the M4A3E8 Sherman "Easy Eight". ★Length: 210mm, width: 85mm. 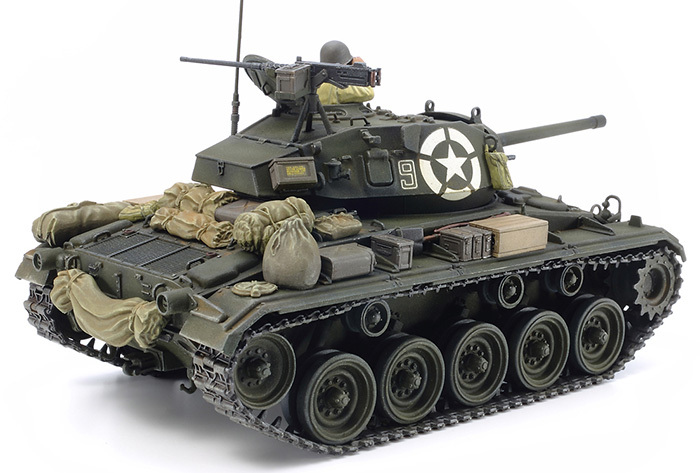 This incredibly detailed model captures distinguishing characteristics on the M4A3E8 such as the large turret with 76mm gun, and the innovative HVSS setup. ★Modelers can choose to create the model with or without muzzle brake. ★Clear parts make for an excellent finish on periscopes and lights. 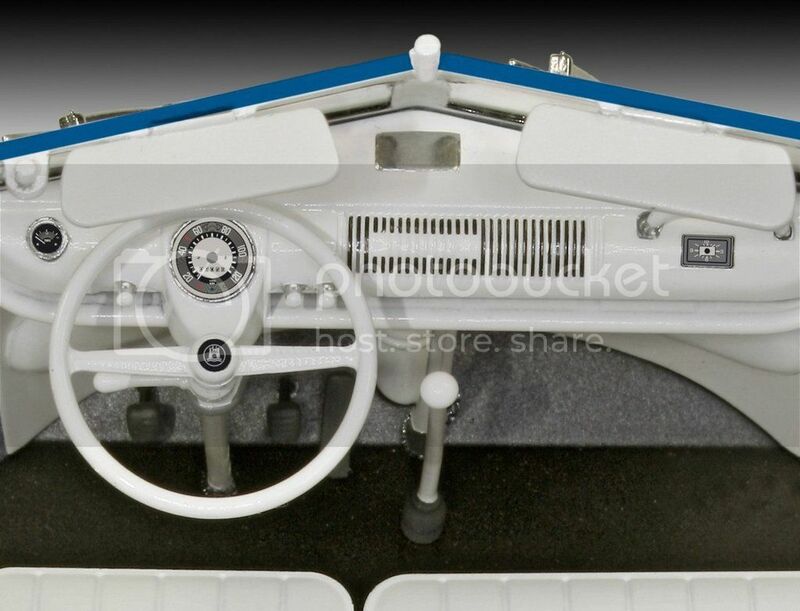 ★An authentic touch is provided by the recreations of the T66 tracks, which are assembly-type, movable parts. 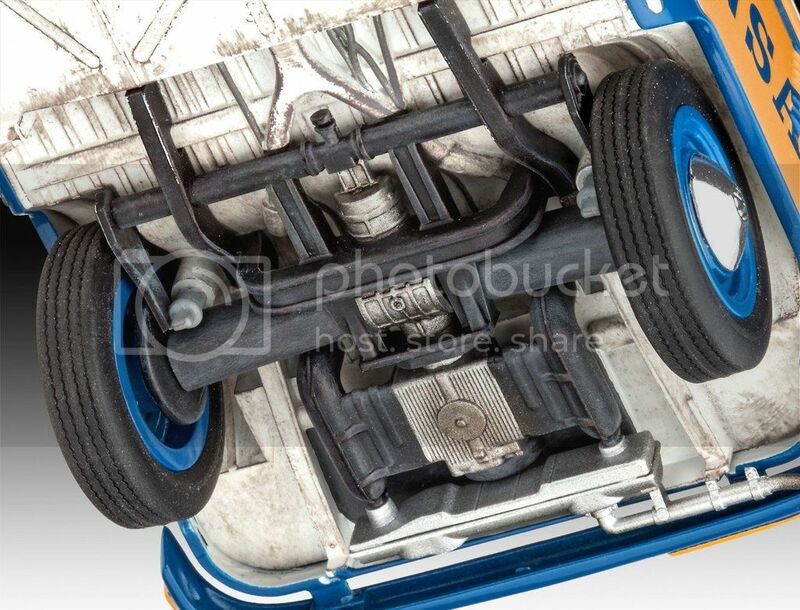 ★Features moving suspension. 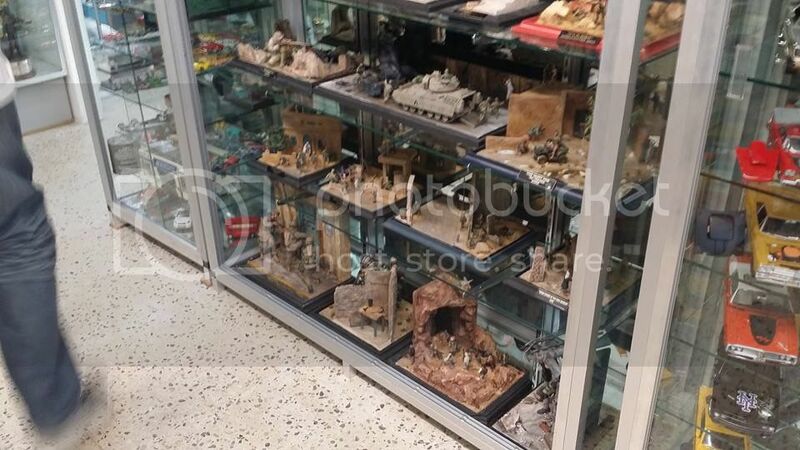 ★4 realistic figures included. 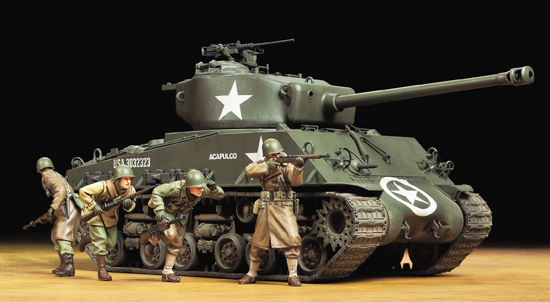 ★Choose from 4 marking options depicting M4A3E8s with U.S. units on the European battlefield. 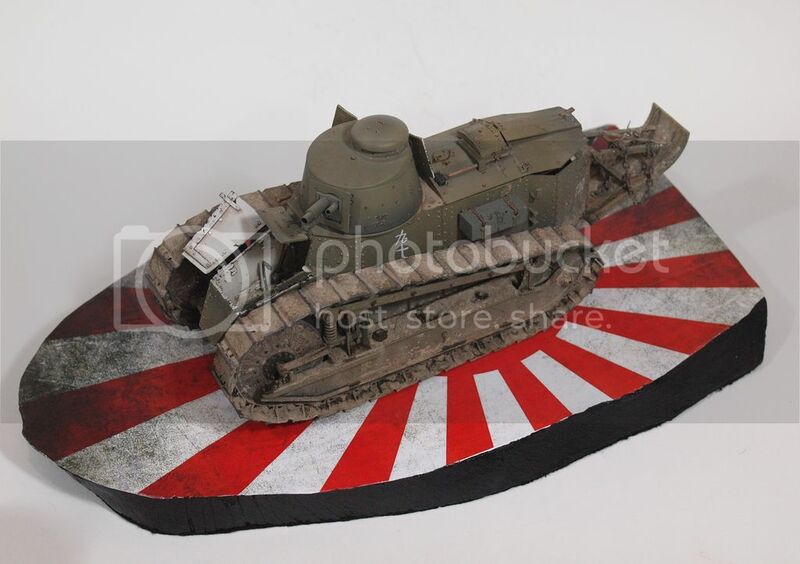 ★Tank model parts are a product of Asuka Model. 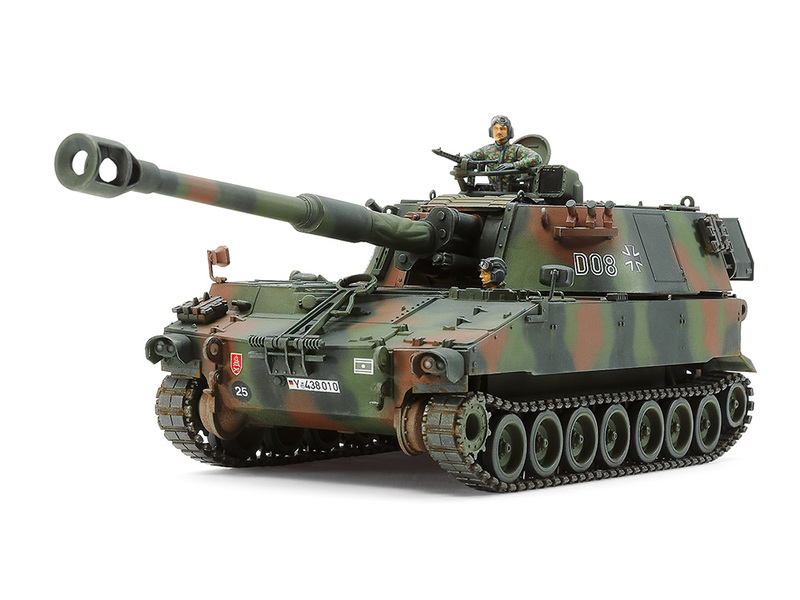 Tamiya is launching a M24- Chafee, in fact is a rebox for the Italeri 1986 overall with all the new parts from the last 2014 version ( new tracks) Also include the metal barrel and for the price of $26.00 its a good deal. 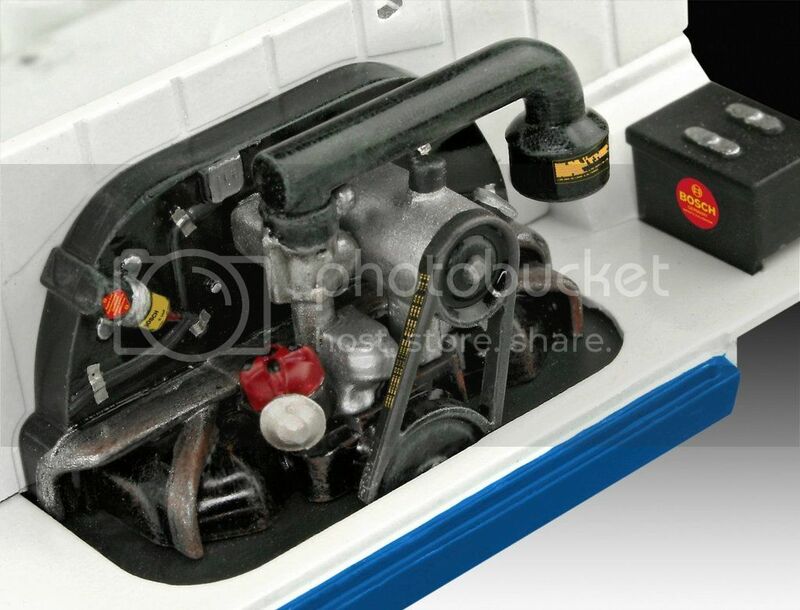 Includes a highly realistic aluminum gun barrel. 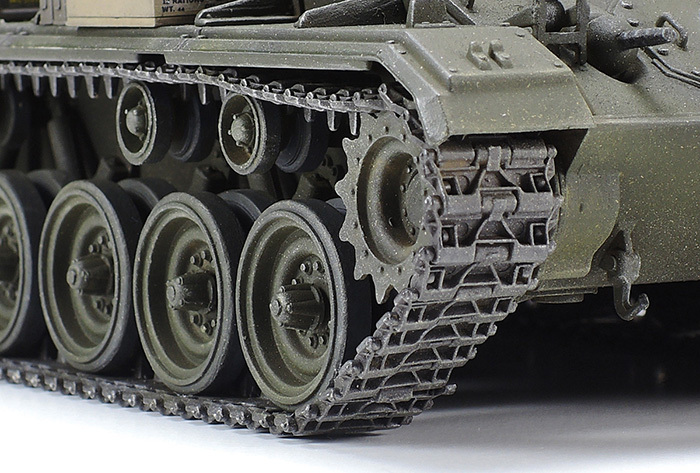 Features assembly-type WWII tracks with single-piece straight sections. Turret has newly added WWII antenna base parts and weld lines. 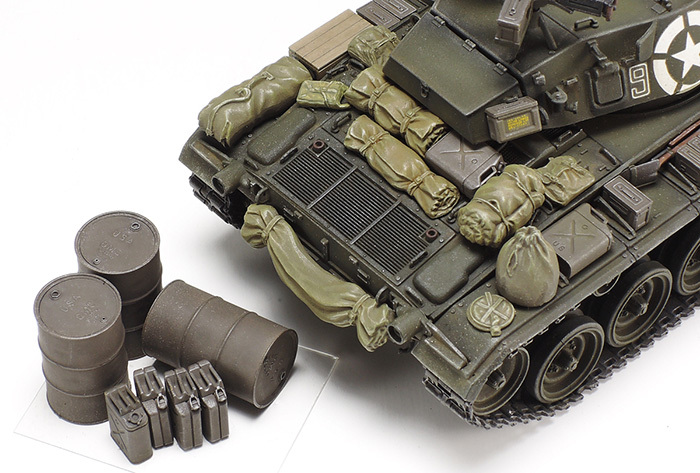 Accessories include M2, ammunition boxes, bags, folded sheets and jerry cans. 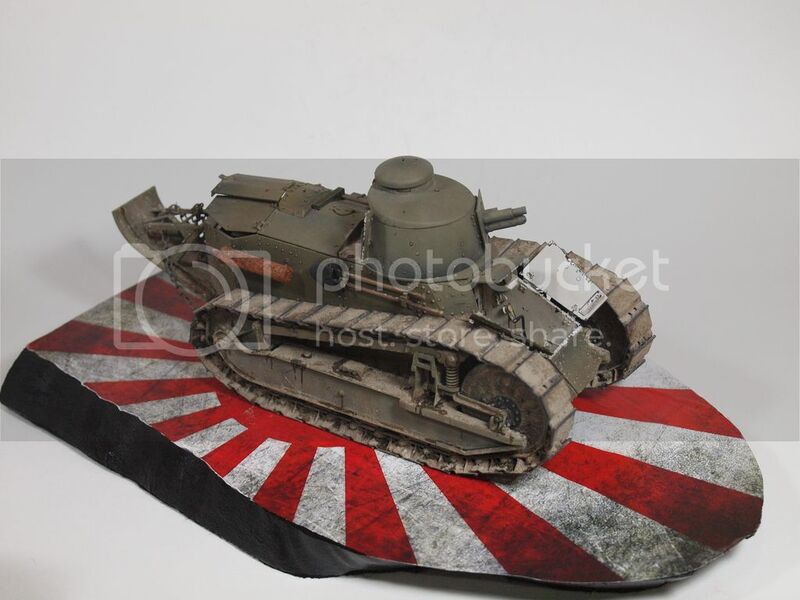 Comes with a commander torso figure, plus marking options for the vehicles on the Italian front and in Germany.